My Favorite Christmas Memories – What Is Yours? Every one of us has different memories of Christmas. What are your favorite Christmas memories? Please comment and let us know so that we can share them with our readers. Merry Christmas from the staff at WCWTK. One of my favorite Christmas memories was not actually on Christmas but many days before Christmas. In fact, one of my favorite memories of Christmas took place on the day after Thanksgiving. When my wife and I started our own family, we started our own family tradition of setting up the Christmas tree and trimming it with lights, tinsels, and ornaments on the day after Thanksgiving. This became our own family tradition and our outdoor Christmas decorations we set up on that very same day. This comes on the biggest shopping day of the year, called Black Friday but we intentionally stay home on that day because to me, it’s not just Black Friday but “Black and Blue” Friday. That’s what I call it because the very day after we have a national holiday in which we are to give thanks, people shop like maniacs and people get hurt, trampled underfoot, fights break out and yes, people even get killed on this day. Many shoppers literally do shop till they drop so we don’t shop…we prop. That is, we stay home where it is safe and set up our Christmas decorations. My wife’s favorite Christmas memory is different from mine and your favorite Christmas memory may be different from ours. Everyone will likely have different favorite memories of Christmas. One example is that my wife’s favorite memory of Christmas was the first time we hung a picture of our youngest child on the tree. My mother-in-law made a Christmas ornament that had a picture of our youngest child on it and when they were young, each year we added a new ornament with a picture of our children on it. When they became old enough to make their own ornaments, then they started adding their own unique Christmas ornament that they have made with their own hands. These are precious keepsakes to us. These ornaments become more and more special as time goes by and as the children grow older. Today we have only one child left and she is going to be at home for only another year and a half before she likely goes off to college. Then all our children will have grown into adults and left to start their own families and their own Christmas tradition. One of my every own personal Christmas memories occurred on Christmas Eve. We get out the Christmas story and read it with Christmas music playing in the background. This is family time and this is what makes Christmas so very special. We get to be together and review what Christmas is all about…an observance of Christ and just why He was born as a babe in a manger. The manger was actually a feeding trough and today we feed on God’s Word. He came in humility and in such a humble setting and rode into Jerusalem on a donkey but when He returns, He will come in power, splendor and great glory and will come riding on a white horse to judge the world. We needed to ensure that our children knew what Christmas was all about and it wasn’t about gifts under the tree. It is all about Christ. Today, we want our grandchildren to not get caught up in the commercialism of Christmas but see Who this day is all about. The gifts represent the greatest gift we can ever receive…eternal life. The presents represent gifts generally given to a king out of reverence, respect and for royalty. We focus on being in His presence not the presents we get for ourselves. I pray that everyone would come to realize that Christ is the real reason for the season. It’s not about getting but about giving and what He gave was the most that anyone could ever give; He gave His own life. Today, if you are not a believer in Christ Jesus, then your Christmas memories will not mean the same thing. They will likely mean something that you received for Christmas, some family memory that is associated with Christmas or some special occurrence or event that took place during the holiday. It might even be more about getting some days off from work but Christmas means so much more than that. It means that Jesus Christ came to be born as a man, to live a sinless life, to make Himself the supreme, once-and-for-all sacrifice that can redeem us to a right relationship with God so that we might enjoy God and live with Him forever in the Kingdom of Heaven. Today, wise men and wise women are still coming to the King. Are you wise? You are if you have bowed the knee to Jesus Christ our Lord, repented of your sins, confessed them to God, and put your trust in Christ. If you have, then you know what Christmas is all about. Now, tell us about your favorite Christmas memory so that we can share it with our readers. May God richly bless you this Christmas time and into the New Year. And to you my friend, may God richly bless you and in the coming new year as well Jack. Awwww, thank you, Pastor Jack. 😀 Happy 2014! Do you feel lonely out there? Apparently other people either had miserable Christmas pasts or have lives and aren’t pounding out a message, like I am doing, on Christmas night. I had so much family today, I sneaked a break(similar to a Kansas “snucked”) to the computer and thought of my most memorable Christmas. The one that comes to mind is when I was 10 years old. That was almost back to when Ham, Shem and Japheth were retiring their water wings. The Beatles were the rage out of Liverpool and this really cool thing called a transistor radio was the rage. Wow! You could actually have a portable radio, without having to wait for the tubes to warm up. For the rest of you saying what is he talking about, just ask your dad. Anyways, I had received the radio on Dec 21st, which was my birthday, and I thought that would be as good as it would get, with a blue collar dad’s salary and 7 mouths to feed. I still own the set. It’s a beauty. I spent hundreds of hours on that board my dad set up for me. I’ll never forget it. Thanks for the opportunity to bring up that memory Jack. I hope you had a great Christmas with your family today. Thanks Doc. Loved the image. What a treasure that is. I grew up without a father and my mother didn’t want me and so I often got only one or two things for Christmas, depending on where I was at at the time or who I was living with but my present family has created new, loving and cherished memories now. I suppose maybe many didn’t respond because they have mixed emotions and memories or perhaps I did a poor job of trying to encourage others to post their own. I do thank God for you friend that you did. Happy New Year to you too. Unfortunately I often take for granted my great upbringing with two loving parents who basically seldom argued and were kind of like Ward and June Cleaver (young folks..just Google them). I think God had folks like you in mind(on so many different levels)when giving the words of that Psalm to David. God has rescued you from prison(both physically and spiritually), and has blessed you with family…both personally and corporately…in His Body. He is so Good! I stand amazed at such humility and wisdom in your words sir and remind myself that trees grow fastest during times of storms with strong winds and I thank God that He sent me thru these and still am in some but to which all work out for our best and for His glory (Rom 8:28). Are we as cristians suppose to celebrate Christmas? What do you think? What are your thoughts on whether we should or not? Al asks are we supposed to celebrate Christmas. Some argue that it is a pagan holiday and that Christ-mass means the death(sacrifice) of Christ and that saying words like “Merry Christmas” means you are making light of Jesus’s death. 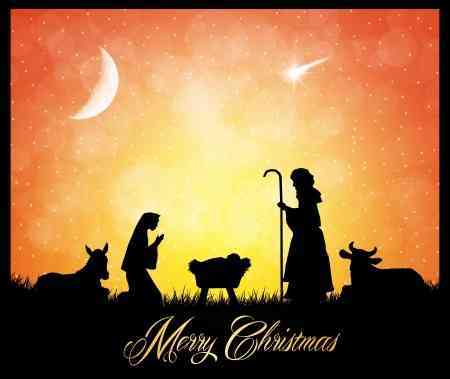 Regardless of these concerns Christians understand this day to be a celebration of the birth of Christ. The incarnate One, who 9 months previously was conceived by the Holy Spirit in the virgin Mary’s womb and nine months later was born(which we know wasn’t in December, but that is when we celebrate the birth). This birth was God Himself coming to dwell among us. To take on human form and empty Himself to become one of us. Unlike any other religion which are all man’s attempt to reach up to God, here was the “real deal” of God reaching down to man, to rescue us from damnation. Through this singular event(God invading our time and space to become human) God’s eternal plan of salvation emerged on earth. It is this singular event which all who had ever placed their faith in God prior to this event looked forward to, and all who now place their hope in God look back to…Emmanuel…God with us. So when your family members have birthdays, what do you do Al? Do you look upon their births as just ho-hum days, or do you, with love and fond remembrance, celebrate their birthday with much joy and excitement? Would you suggest we do any less on the birthday of our King? Great points Doc. So true. What if you forgot your own spouse’s birthdate or maybe forgot the date of your child’s birth. Would you still not celebrate it? Just because you couldn’t remember the date doesn’t mean that you shouldn’t celebrate it. Jesus was not actually “born” in the literal sense anyway because He has always existed. Christmas is not so much about celebrating Jesus’ birthday as it is Jesus’ arrival on earth…His becoming a Man…which is why He is called Immanuel in some places in the Old Testament. My own mother did not even know the date of her own birth. Her mother, my grandmother, was a very harsh woman…probably because she was treated very harshly. My mother’s mom didn’t celebrate my mother’s birthday and because she had lost her birth certificate many years ago, she didn’t know the exact date of her birthday. She went to be with the Lord many years ago but the only thing she knew about her birthday was that it was sometime in February. She had no clue about which day in February it was so we children just picked out a date and celebrated that day as her birthday. It wasn’t about the exact date of her birth as being the reason that we celebrated her birthday but the fact of her being born in the first place. We were celebrating her and not a date. The only reason I asked is because roman emperor Constantine established the December 25 as Jesus birthday. He was a worshiper of the sun god and that is the time of the winter solstice celebration. Are we worshiping Jesus or the Sun? Did you not read Pastor Jack’s link he gave you on his reply dated January 23rd above? Please look under the section titled, “Not Judging Others”. The very question you ask is answered there. What do you not understand about this clear answer to your question? Why do you ask a question about worshiping a day vs the Creator, which has already been answered by Pastor Jack in the article in that link? Again we celebrate Christ’s BIRTH, and worship Him, not his birth DATE. Read that three times very slowly to yourself. I feel you are trying to bait Pastor Jack, by the nature of your weird statement about whether “we are worshiping Jesus or the sun”, especially using the capital letter for sun. 3) A very confused man who doesn’t realize the fact that we Worship our God not based upon the day in which we choose to worship Him, but based upon who He is. My guess, because you sound fairly intelligent, and did not respond to the birthday “tell” and got fairly passionate over the Sun Worship is door number 2. Al, thanks for commenting but wow, you are way off base. You are judging others and associating Christmas with sunworshippers now? I pray you repent and confess your sin and remove the log from your own eye because it is impairing your vision from seeing the dust speck in your brothers eye. Paul said let no man judge you in meats or days or anything. If you believe that your behavior will get you into heaven, maybe you don’t know that God doesn’t take in dirty laundry to clean because all of our works are like filthy rags before Him. I pray for your soul that you are not judged by God by the same standard that you judge others, which is less than a righteous judgment. Doc was right to be indignant with you and it is all I can do to contain myself. Sorry to have to block you from this site. Perhaps you can find another site to badger others and troll. In the mean time you would do well to read 2 Tim 2:23 and Titus 3:9.